Our goal isn't just to build you a house; but, to build you a place to entertain. It isn't just a roof over your head. It is somewhere you can make a countless amount of memories. It is more than drywall and paint, your home is something we take a large amount of pride in. We want every function to work perfectly for you and your family. No two homes are alike no matter that the floor plan starts out that way.. We will break down the smallest details. We promise as you begin to live in your home you will see the attention to detail and care we provided as we built your home. Our experience is what helps us build high quality homes today. The President and Founder of Willowood Homes, Randy Johnson, has been building homes full time for over 38 years. Randy has many years of hands on experience learning what it takes to make the job right, from pouring footings & foundations, framing, soffit/facia, siding, cement flatwork, finish work, painting and good exposure, to the many other facets of construction. 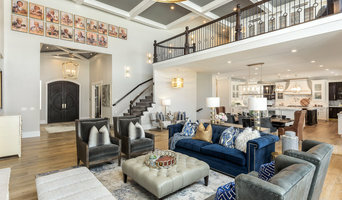 2019 Utah "Best of State" Interior Design Winner | 9x Best of Houzz! Architectural Firm specializing in residential remodeling. *We are not General Contractors* Life-Centered Design, only from Renovation Design Group. At Renovation Design Group we change lives. Our Architects know you aren't ultimately looking for a pretty set of remodeling plans; you want something that improves your life. And who wants to spend a life's savings on a beautiful renovation that doesn't really improve their quality of life? Our Architects find making homes beautiful to be the easy part. We enjoy the challenge of making the biggest possible impact on your life for the better – through architecture, of course. While Drafters may create a wonderful set of plans, our Architects create wonderful lifestyles by our plans. Designers and other Architects transform homes in order to gain recognition, while we receive appreciation for transforming our client's lives. The design of Contractors is simply building sturdy places, but our spaces are designed to build relationships and support life goals. We hold ourselves to a higher standard – your standard. You come to us with a vision of a better life. We recognize this, and so we take a comprehensive approach to make sure your newly remodeled home supports your life goals and enhances the quality of your daily life – even long after your renovation is complete. This focus naturally leads us to champion what is truly in your best interest. It requires that we listen to you in order to identify how your new home will ultimately support, enhance and change how you live and feel every day – for as long as you live there. Our exclusive Life-Centered Design methodology does just that for you. No one else delivers it; not builders, not drafters, even designers and other architects go amiss. Renovation Design Group is proud to be regionally respected for consistently delivering "A new design for a Better Life". And when you hire us for our Inspire® architectural services, only Renovation Design Group promises to refund half of our fees if you don't feel that your new home supports your life goals and enhances the quality of your daily life. Request a free in-office consultation today. Your life; designed better. Artisans' designs custom homes in the Park City, Heber Valley & surrounding areas. Our design team has over 44 years of experience in the custom residential arena. Our experience, attention to detail and, above all, our uncompromising dedication to creating the perfect home for every client reflects in every project. We specialize in owner focused design, providing you with the expertise and experience you need to create your dream home. Artisan is an old world term for a skilled craftsman. We didn’t select the name to boast about our skills as designers, we chose it because it represents an ideal, the standard of excellence we will provide on every project. We will not be satisfied with your home until you are. We offer architectural design solutions for residential and public projects with backdrops ranging from natural environments to urban and historic neighborhoods. We are dedicated to design excellence in all aspects of our work. So we look beyond property lines. Think unconventionally. Work sustainably. Respect the environment, and integrate its resources in creative ways. Because we know that in addition to building and enhancing structures, we're contributing to the fabric of a community. Inouye Design is a residential design firm that provides house plans for high-end custom homes. Inouye Design specializes in high-end custom residential design and house plans throughout Utah and the surrounding western states. We also have a large selection of ready to build stock house plans. Inouye Design utilizes the latest technologies in computer aided design/drafting. All custom projects are created in a three-dimensional virtual environment where the design process can be taken to a higher level of refinement and creativity that can be better visualized by homeowners. These capabilities, joined with a hard working staff, allow for the production of high quality working drawings for successful building projects. 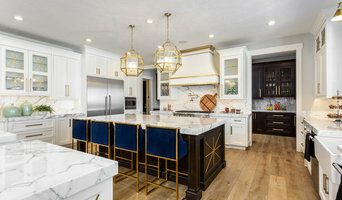 Kimberly Parker is a Utah based Interior Designer, who has a diverse portfolio, including projects in new construction, complete home remodels, vacation condo remodels, pediatric physician offices, long-distance design projects, and design consultations. Specializing in high-end interiors, Kimberly carefully considers the individual needs of each client and develops unique and timeless interiors to ensure their satisfaction upon completion. Organization and punctuality are Kimberly's strong points, as well as creativity and seeing clearly the overall scope of the project. She will listen to your vision and understand your needs, then organize every detail into an interior space with striking beauty as well as function. Contact her today to discuss your vision, arrange a meeting and see what she can design for you. Quilter Construction was Founded in 1975 and is a Family run Construction Company Customizing in new Home building, Remodeling, or any of your Construction needs. With over 74 years of combined experience we can help you "Build Your Dreams"! From a New Build to Remodel/Renovation we pride ourselves on our Quality that we put in to each and every project Big or Small. Mission- Enhancing your lifestyle through quality Construction coupled with genuine personal service. Making Memories through the vision of your home. Blackbox design studios is an architecture and planning firm that develops personal relationships with clients as we design their individual, unique projects. Known and respected for our outstanding design and meticulous attention to detail, we enjoy the compliment of a significant number of repeat clients. Our success depends on our ability to foster trusting and beneficial relationships with our clients. Blackbox design studios considers all aspects of the design, including a client’s needs and desires, project budget, site considerations and zoning regulations. The team at Blackbox design studios combine creativity and technical knowledge in order to guide a project from concept to successful completion. Kristina Lawrence Interior Design (formerly Absinthe Design) is a premier high-end residential interior and architectural design firm in Park City and Deer Valley, Utah, specializing in a turn-key approach to interior design from project conception, architectural planning and construction specifications to furnishings and final touches. With over 22 years of experience in the residential construction and interior design fields, we are as comfortable with large ultra-custom new construction projects to smaller remodels and everything in between. We love what we do, we are meticulous and detail-oriented, and it shows in our work! Process Studio is a Salt Lake City based architecture practice, started as a collaboration between Eric Egenolf, RA LEED AP BD+C and Dwight Yee, NCARB LEED AP. Having a wide range of experience in offices in Utah and across the country, both partners bring unique perspectives to their approach to design – whatever form that takes. The name Process is derived from our mission to develop inventive solutions to everyday environments. Clients are empowered to actively participate in the design conversation and contribute to a thoughtful, sophisticated, and engaging outcome. Process Studio utilizes the most current technologies to aid in project visualization and engineering coordination. We work closely with builders to ensure constructability, control costs, and refine details. Process Studio seeks to elevate expectations for the built environment. Let us help you exceed yours. 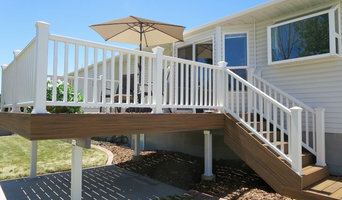 We are a fully licensed and insured remodeling and construction company that specializes in the custom renovation and construction of homes in the Salt Lake and Park City communities. We work on projects of all scales and styles, focusing on quality, sustainable construction practices and superb customer service. With hundreds of construction & remodeling projects in our portfolio, you can trust that we will approach your project with the expertise of experienced professionals. We pride ourselves on our excellent customer service and personal attention. We guarantee personal service and direct interaction with the project manager through all phases of the project. We will personally oversee every step of your construction project from inception to completion, solving problems and creating solutions every step of the way.